Experts don't often agree, especially in IT, but when it comes to cloud security it appears some finally do. 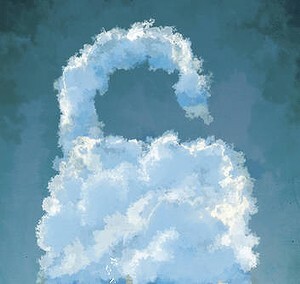 Is cloud computing secure? It depends, is the answer. It is also the reason why the Open Data Center Alliance (ODCA), an organisation that counts BMW, Deutsche Bank, Disney and National Australia Bank as members, is still attempting to end ambiguity and define cloud security stardards for businesses. An assurance model proposed by the ODCA a year ago, is still under revision, after a proof-of-concept threw up more questions than it answered. "The biggest problem with the cloud is that you cannot get a consistent definition of what is secure," said Matt Lowth, National Australia Bank's principal security architect. "And if I can't get the same answer from three different vendors, how do I know what secure is?" In a special series, Fairfax Business Media Asia will be previewing speakers from the CIO Summit 2012. The debate on cloud computing should not be about private or public clouds but on the data centre, according to Raju Chellam, cloud practice head, Dell South Asia & Korea. And the key questions are about merging legacy systems with new infrastructure and "migrating apps without migraine," said Chellam. He shares with CIO Asia why the answers lie within the data centre. When the department or user group of a company decides it wants to use a cloud-borne service, who ponies up with the money for the service? In the case of outside services from a providers such as Amazon Web Services or Salesforce.com, there may be discretionary funds within a line of business that are transferred via credit-card transaction. If there’s an internal service within a private cloud, well, the question of who pays gets cloudy as well. How much should the owner of a service carry the costs of design, maintenance, server provisioning and upgrades if other departments are tapping into said service? A growing number of Marlborough businesses are adapting to use cloud-based services says Blenheim IT consultant Lee Harper. Harper is the managing director of Blenheim IT consulting firm pcMedia, who for the past two years has been working on cloud computing projects for businesses around the country and gaining a reputation as industry leaders, he said. He has been invited to speak at the Lawlink conference held in Wellington in September, to give businesses in the legal sector ideas of how cloud computing can improve business and cut costs.